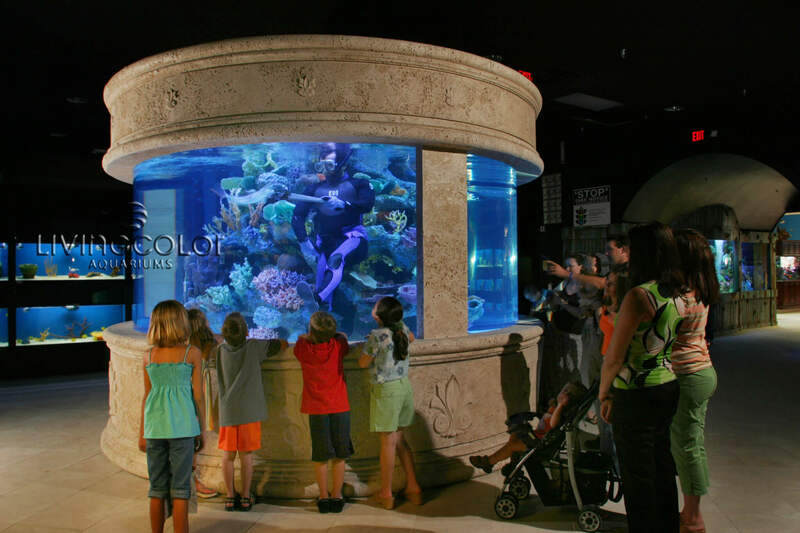 We take caring for aquariums to the next level. The health and happiness of your fish and their habitat is our top priority. Call or email us today and make their world happy and healthy! We provide saltwater, freshwater, aquacultured, and captive-bred fish, coral, invertebrates, alongside a full range of products including aquarium lighting, monitoring systems, pumps, protein skimmers, automatic feeders to automate your aquarium experience. Are you busy? Always out of town? Try our weekly or bi-weekly services to keep your aquarium in pristine condition. All of our staff is fully background checked and annual spot drug tested with Hireright. We are fully insured for $2M and licensed. Aquarium maintenance you can trust. Call us today and receive a quote. 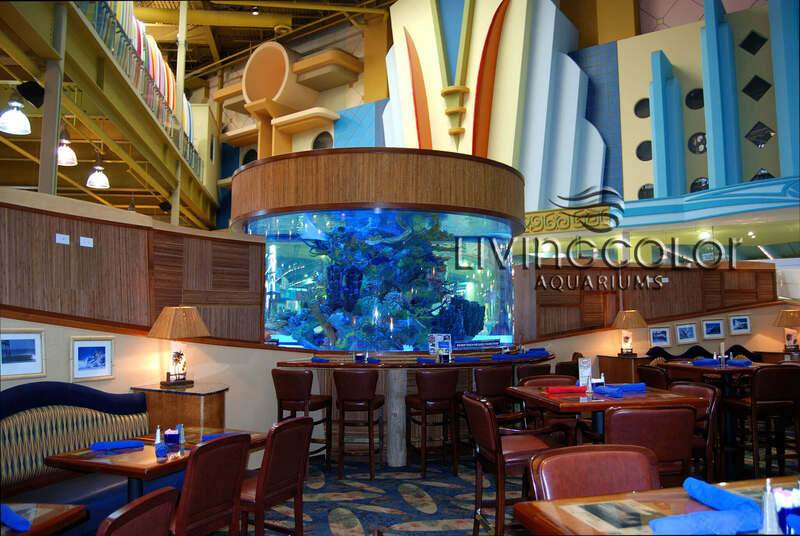 We take caring for aquariums to the next level. Our in-house marine biologists are here 24/7 to make sure your fish and invertebrates are happy and healthy. Call us now and make your salt or freshwater aquarium a special part of your life. Finding the right service plan. 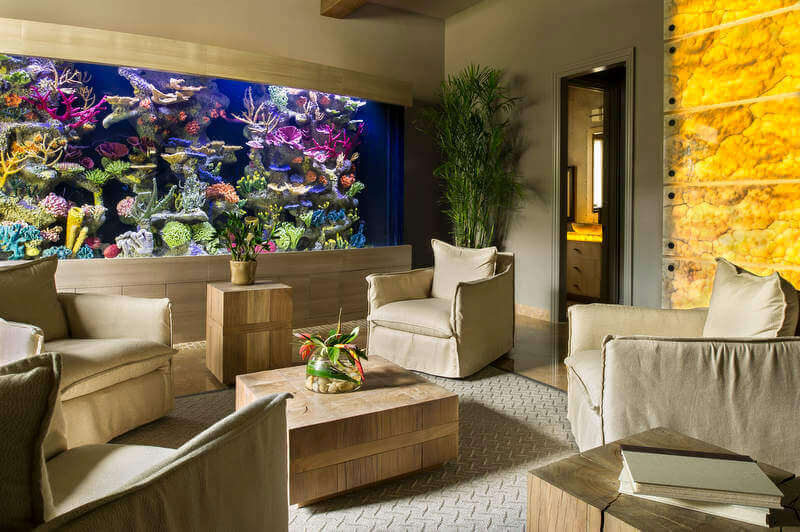 Whether you have a vacation property in our service area that houses an aquarium, are going out of town, or need regular weekly maintenance, we have the right solution for you. Aquarium Maintenance Tailored For You Get a quote today or call our Open Sea Aquarium to find great deals and prices. 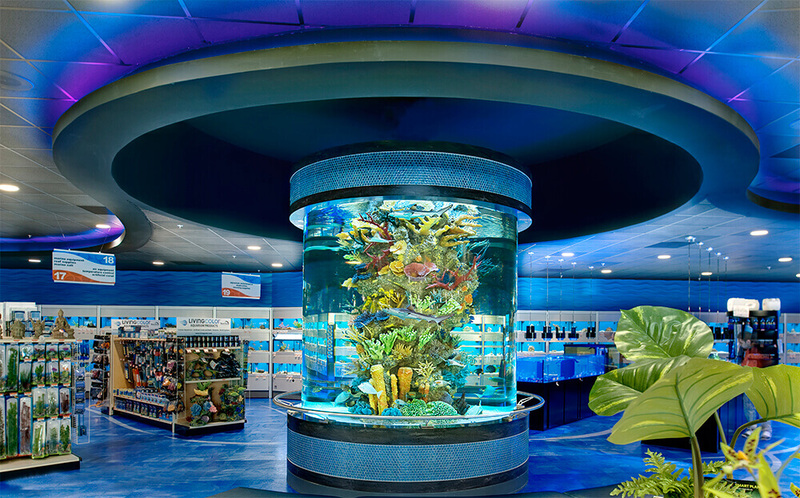 We have marine biologists on staff ready to assist you with your individual aquarium needs. Trust the experts and the science we stand by. Since 1988 we have been leading the aquarium industry, offering a full range of products and services. We carry beautiful fish, coral, invertebrates, as well as aquarium equipment such as lighting, monitoring systems, pumps, protein skimmers, automatic feeders, and much more. Whether you have fish from Lake Malawi or the Amazon River, we have the perfect specialist for you. From the fiercest of fish to the most delicate of coral, we have the specialist for the job. We take conserving the environment a priority. Our LEED certified facility enables us to make the dream become reality. We take aquariums seriously and maintain them as if they were our own. 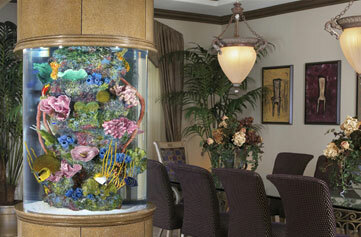 Open Sea Aquarium provides full aquarium maintenance services to the Palm Beach, Broward, and Miami-Dade County areas. 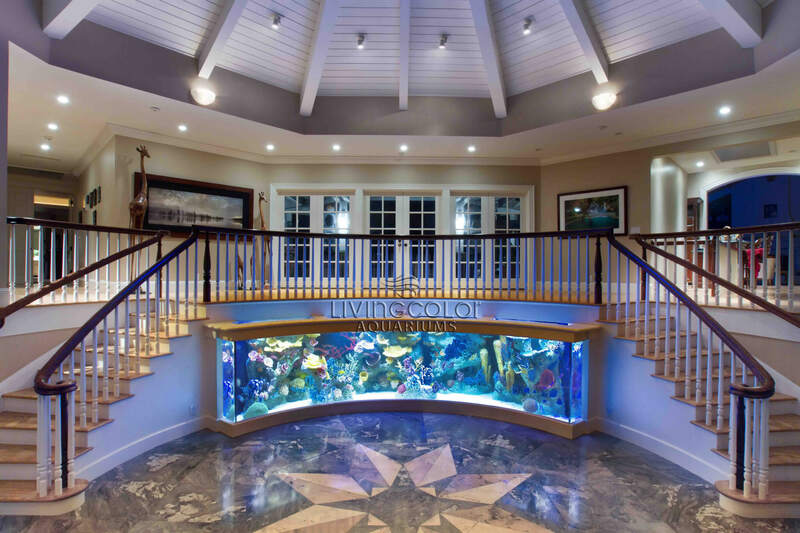 We service all types of marine and freshwater aquariums, indoor water features, and ponds. Our weekly, biweekly, and monthly service options are tailored to fit the needs of you and your aquarium. Our highly qualified Aquarium Husbandry Technicians strive to provide the most detail oriented, quality service to yield the results you desire. I just have to say how super helpful, knowledgeable, and patient Open Sea Aquarium has been with us. I have never had a fish tank before and I am excited to learn about the personalities and behaviors of the fish and how to care for the tank when something isn’t right. Open Sea Aquarium has just really been so attentive to any of our questions or concerns. Each fish then has brought the kids even more excitement than the last one. Ben is doing a great job of building a fish neighborhood of happy healthy fish. Our passion lies in the care of your fish, corals, invertebrates, and sharing the wonder aquariums can bring to you and your family, or business. Please fill out the form below and discover what Open Sea Aquarium can do for you. Aqaurium Services No Job too big or too small. 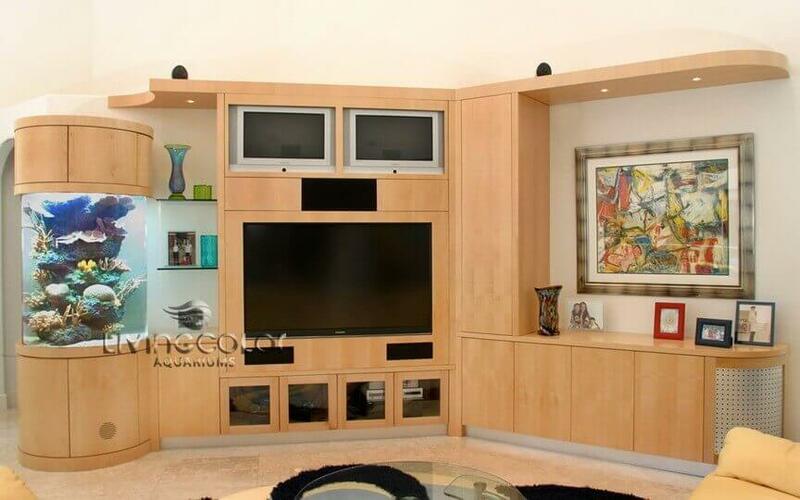 We take pride in exceeding expectations with every cabinetry, acrylic/glass, pond and water feature cleaning service we provide, and our work is guaranteed. If you are unhappy with your results for any reason, we’ll come back and re-clean the area in question to your satisfaction and at no additional cost to you. In addition, we’re happy to customize a cleaning package to meet your particular needs and provide a free estimate of associated costs when you contact our office. Unlike aquarium structure cleaning, we take cleaning a bit further with decorations, artificial structures, real rock, everything. We also provide professional, deep cleaning treatments with comprehensive cleaning solutions that are safe for your fish, coral, invertebrates, as well as advanced equipment. Our certified technicians use only the most state of the art, high-efficiency tools, and green cleaning products. Our experts are also highly trained in cleaning several types of aquarium including pond ornaments, waterfront features, and many others. We won’t lecture you on the importance of regular tank maintenance, especially when it comes to the substrate. The easiest way to keep an aquarium clean is to get a clean-up crew. I’m not talking about “us” your aquarium maintenance team member that comes over to clean your tank. I’m referring to the unsung heroes of reef aquaria—the snails, hermit crabs, shrimp and the like—who slither, scuttle and swim around your tank keeping the sand bed, rock work, and even other animals clean. Lucky for you we offer a full range of livestock and services to keep your substrate nice and clean. The ocean is a stew of nearly every element found on earth. One of the most important aspects of reef keeping is keeping these levels in their appropriate ranges. There is, however, no standard rule for all corals since soft corals do not consume anywhere close to the amount of calcium an acropora would per cubic centimeter. The only two rules that hold true for everything is ONLY DOSE WHAT YOU TEST FOR and NEVER DOSE MULTIPLE THINGS SIMULTANEOUSLY! We test and dose based on the parameters that are right for your specific needs, ensuring your fish, coral, and invertebrates are happy and healthy. We receive a lot of questions from people wanting aquarium fish, coral, and invertebrates. Aquarium fish come from all regions of the world, with aquatic cultured (farm-raised) specimens primarily from South East Asia or Florida. Obviously, great care has to be taken to get these fish, coral, and invertebrates to your home or business safely. Once at your location we assist with acclimating the new fish into your home aquarium. In terms of stress on the fish, the acclimation time is the most critical. You need to get the fish acclimated to the water parameters of your tank. The acclimation time allows the water temperature to equalize, and ideally the pH and salinity (for marine fish) to also adjust. We take care of the whole process and guarantee the cost of the fish, coral, and invertebrates. In the wild, fish have very specific diets. Fortunately, most species will do very well without the exact food items they would select in nature. It is important only to know if the fish you keep are herbivorous (eating plants), carnivorous (eating animals), or omnivorous (eating both). There are many different commercially prepared foods that can be used in your fishes’ diet, and most of the choice is up to your preference and convenience. We provide the food; whether it’s flakes, pellets, frozen krill, or silversides to name a few, we tailor the food to your livestock. Aquarium filtration and plumbing should be quiet, keep the water surface in motion for oxygen exchange, remove floating debris from the water (mechanical filtration), convert ammonia from fish respiration, waste, and leftover food into nitrate (biological filtration), remove strange odors and invasive chemicals (chemical filtration), kill free-floating algae and parasites (sterilization), and heat the water in a tropical tank for tropical animals. Keeping your filtration and plumbing in proper working order is essential to a happy and healthy aquarium. If you are having issues with any part of your filtration and plumbing give us a call, we have technician ready to assist you. If you care for fish properly, disease rarely occurs. However, on the occasions when a fish does become ill, it’s important you contact us sooner rather than later to avoid expensive mistakes. We can supply you with solutions for your fish health, disease, treatment, and prevention. Before introducing any fish, coral, and invertebrates into your tank, allow us to do it for you. This small step increases the rate of survival, and also limits any issues that may come up. Introducing new animals into your new setup without inspection may cause problems. Remember your filter will need to build up friendly bacteria to break down the byproducts from your fish. There are hundreds of afflictions that can affect the health of your fish. The most common maladies seen in home aquaria are usually either bacterial or parasitic in origin. Fungal infections are also sometimes seen, and occasionally physical ailments. Luckily, most fish ailments are quickly diagnosed and treated with success. Our team can treat the most common of these afflictions. Understanding how an aquarium and its filtration work to support aquatic life is vital in preventing fish ailments. The basics of life support are the same whether you have a freshwater aquarium or a saltwater aquarium. We’re versed in symptoms of fish illnesses and know which treatments/medications (like copper dosing) and practices (like freshwater dipping) are right for each situation. 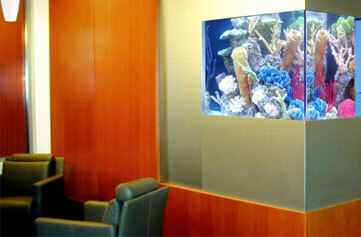 Open Sea Aquarium provides dive services to both the residential and commercial aquarium. This also includes various local and state government agencies, and contractors. We carry a large selection of dive equipment, to ensure each job is done right. We are also fully insured, which includes General Liability and Workers Compensation insurance. We employ only certified divers with the knowledge to ensure that all work is completed to your satisfaction. All of our divers are certified. We believe that in an industry where trust is everything and reputation is critical, you get what you pay for. We offer fair prices for exceptional service and response times. AND…we stand behind what we do and say. 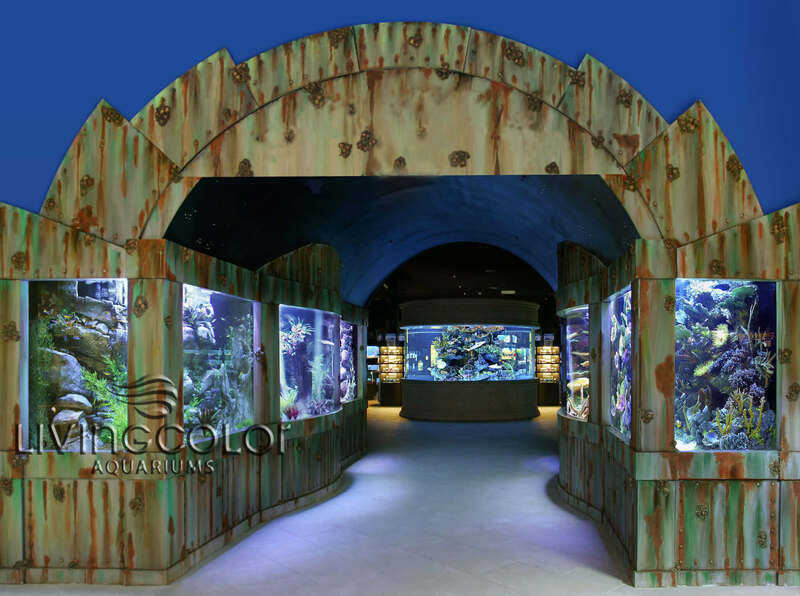 Open Sea Aquarium provides equipment installation & maintenance to both residential and commercial aquarium. 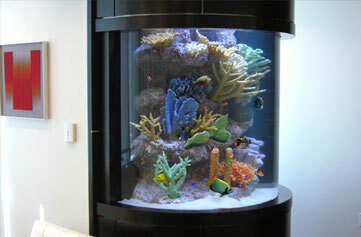 We also carry a large selection of advanced aquarium equipment, ready to be installed in a moments notice. To ensure satisfactory results proper installation, setup, and maintenance, give us a call. We are also fully insured for $2M and only employ certified technicians with the knowledge to ensure that all work is completed to your satisfaction. Trust is everything and reputation is critical, you get what you pay for, we stand behind what we do and say. No matter how mature the aquarium, or pond may be, aquatic environments are always susceptible to a crash. Sudden changes in water parameters are bad and can affect aquarists from novice to professional. A range of things from poor aquarium husbandry to equipment failure can cause swings in water parameters that harm your fish. We are constantly watching for these dangerous changes. Many of these cases can be undetectable to the owner. We can also place monitoring devices set to track specific parameters based on your setup. This is a key to the survival of your aquatic life. These systems alert us very fast when something is going wrong. Understanding what is happening inside your aquarium is vital to ensure your aquatic life stays healthy. From custom instructions for accessing the aquarium, to sourcing a special fish, to finding a special food, we are here to help. Aqaurium Maintenance Specialists Our team of certified technicians has decades of combined experience in aquarium maintenance. Your aquarium will never be in better hands. 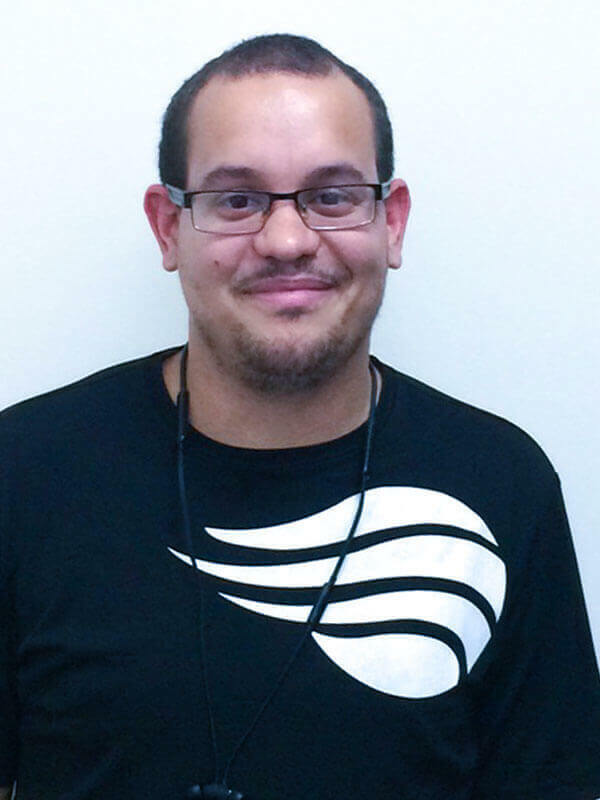 Having skills in both salt and freshwater environments, Ben is our go to freshwater aquarium specialist. His passion lies with the not-so- known diversity that freshwater aquaria can bring. Whether its origins are from the Amazon, the great lakes of Africa, or the Far East, Ben is sure to break the common stigma of freshwater aquariums being less exciting than saltwater environments. Willie is our longest serving member of the team. 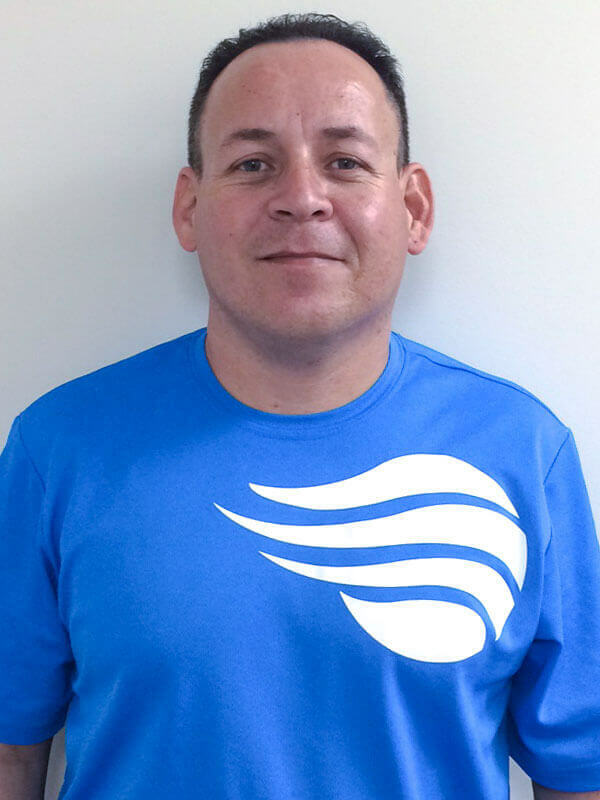 With his mantra of being dedicated and motivated each and every day, he has developed some of the longest known relationships with our clients. Also serving a few of our big commercial aquariums, Willie is well known wherever he goes and is sure to make an impact both in and out of the aquarium. 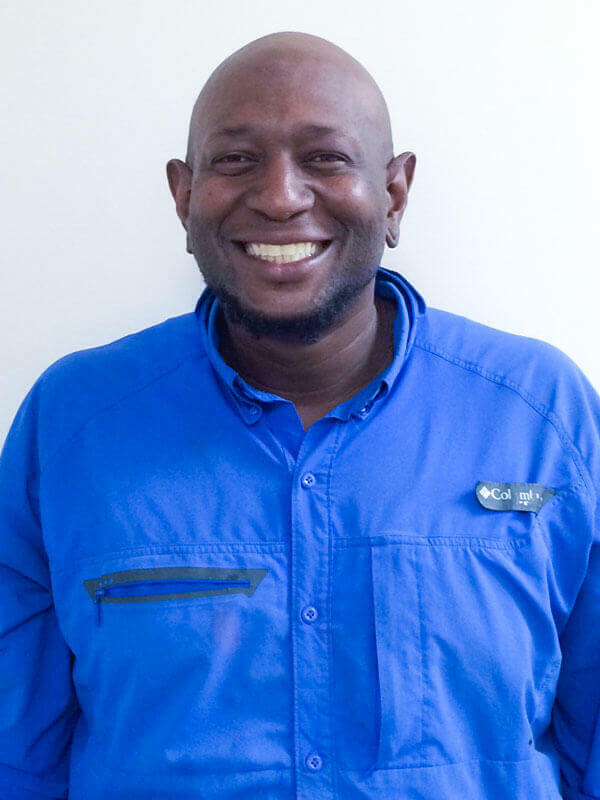 Phil is our longtime coral and reef aquarium specialist. Whether its a montipora, acanthastrea, euphyillia, zoanthid, goniopora, or gorgonian species, Phil is sure to keep a tank full of vibrant colors going with his vast knowledge of reef aquarium husbandry. Rico has many years of experience in the aquarium care industry. 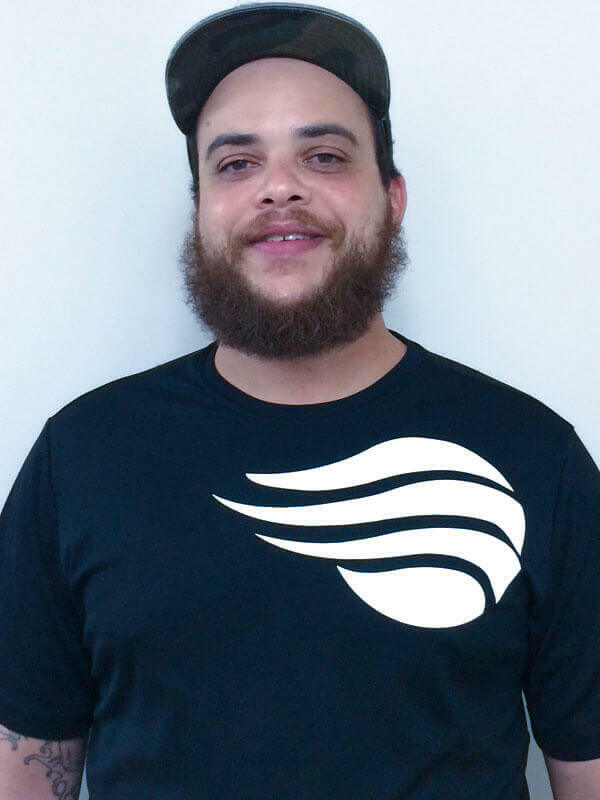 He knows many people in the trade and has used that to his advantage to learn and grow, forming his own techniques when serving our client base. Why should I consider Open Sea Aquarium? Not only can we service or maintain your aquarium we can fully stock it with beautiful fish, coral, or invertebrates. No job too small, or too big. We work with tanks as small as 10 gallons to over 5000 gallons. 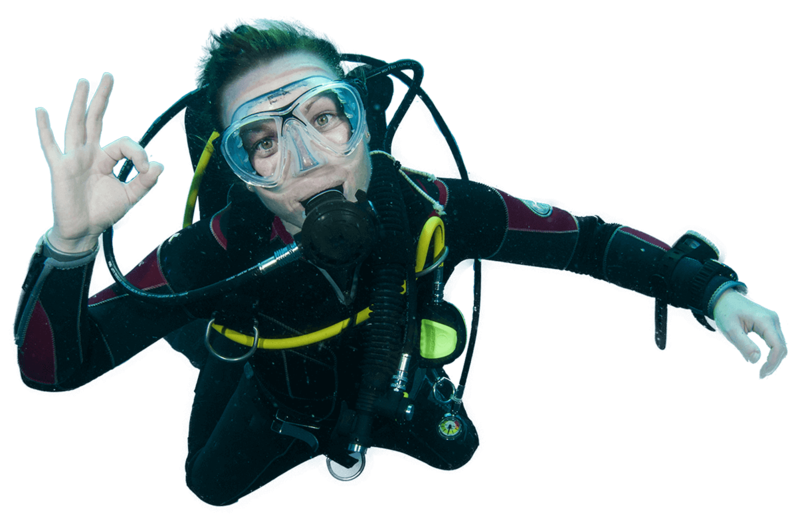 We cater to all aquarium sizes, which include dive services when necessary. You can never be more at ease than knowing our Marine Biology backed technicians are consistently delivering results. We have creative solutions that work for you so you don’t have to. Regular aquarium maintenance will ensure proper water chemistry, proper equipment operation, a trained eye to confirm fish and invertebrate health, overall tidiness and cleanliness, and proper guidance on how to feed your animals between visits. In addition to these points, frequent maintenance will ensure that your system is maintaining stability in adequate working parameters at all times. What Is the difference in Weekly, Bi-Weekly and Monthly? Weekly maintenance is highly recommended for saltwater reef systems, fabricated interior fish only systems, and commercial property systems frequently in the public eye. Bi-weekly service is recommended for freshwater systems, and some saltwater systems depending on the inhabitants of the aquarium. Monthly is only recommended for very basic freshwater systems, and may not be satisfactory to achieve desired results. Monthly and Bi-Weekly options will also require more tasks to be completed between visits. Why do I need hire Open Sea Aquarium? In addition to being extremely time-consuming, many tasks that are necessary for proper maintenance and husbandry can be very labor intensive. There are many steps during a maintenance operation that can be overlooked, or forgotten due to the detailed nature of maintaining an aquatic system. Aquarium Maintenance For You Get a quote today! No thank you, please take me to the website.